MoMA PS1 again joins forces with Other Music to present the second annual music festival and label market, featuring a label fair, live performances, workshops, and panels that celebrate the interactive ecosystem of local and international music communities. This season’s event will include more than 60 record labels, expanded live programming, and extended hours. Among the announced 2018 events, there will be a tribute to Dead Moon’s Fred Cole in the form of a release party for Dead Moon: The Book with Toody Cole and Mississippi Records founder and editor Eric Isaacson, including rare ephemera and archival materials. There is also Azikiwe Mohammed, who will continue “his performative installation of a fictional thrift store, Jimmy’s Thrift of New Davonhaime, which will include a music library that visitors can contribute to and take from throughout the course of the day.” Lots more programming is still to be announced. UPDATE: Vagabon has been added to the lineup and will perform at 6 PM, and they’ll host the NYC premiere of Conny Plank documentary The Potential of Noise (which is also screening at SXSW). Brandon Stosuy of The Creative Independent and Pitchfork will host a conversation with fellow PItchfork writer Jenn Pelly and Priests’ Katie Alice Greer on staying afloat in the music industry. 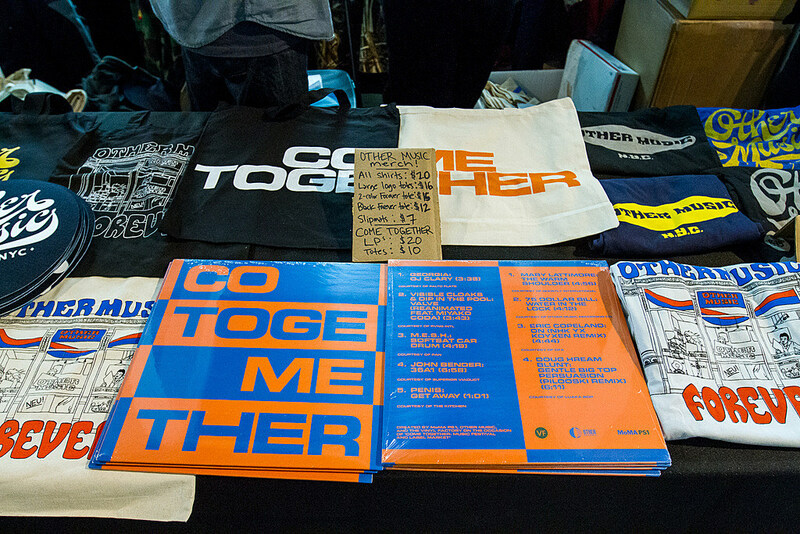 Tickets for the festival portion of Come Together are on sale now; if you just want to attend the label market, that’s free with museum admission. Maybe the Other Music documentary will be finished by then?